Advantages: Easy to read, interesting narrative, logical layout, includes artwork for 13 figures. Disadvantages: Large period to cover in this compact format. 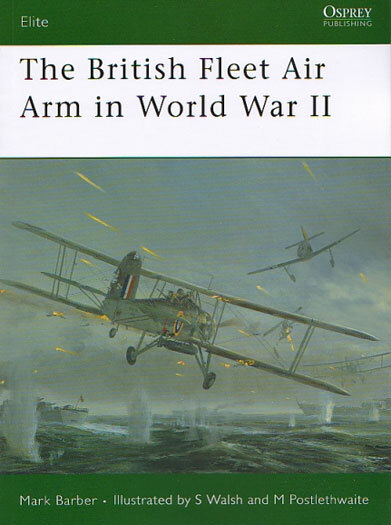 Conclusion: A good primer to gain an overall impression of the role of the British Fleet Air Arm in WWII. With nearly 50 black and white photographs, this book tells the story of the British Fleet Air Arm in World War II. There is a lot to cover so maximum use of the 64 available pages is vital. To start with we get a brief introduction to the origins of the Air Branch and its role in the interwar years. From there recruitment and training is discussed and this proves to be one of the most interesting sections. It’s not just pilots and observers that are covered. TAGs (Telegraphist Air Gunner), mechanics, FDOs (Fighter Direction Officers), DLCOs (Deck Landing Control Officer), meteorologists, and WRNs (Women’s Royal Naval Service) also get their time in the spotlight. The all important command structure is broken down into a number of areas and the author gives each a creditable outing. As well as looking at squadron composition, we see how the number and type of aircraft changed depending on the task at hand. 1940: Norway - France & the Battle of Britain – the Mediterranean: Force H – the Taranto raid. 1941: the Mediterranean – the Bismarck. 1943: Sicily & Italy – Victorious in the Far East. 1944-45: the British Pacific Fleet: the East Indies – Okinawa – Japan. Dive-bombers, fighters and torpedo bombers all had their own tactics when deployed and a discussion of these rounds out the publication. The text is easy to read and Mark Barber does a good job to keep the reader’s interest. Another feature of the book is the colour plates. There are 13 figures that come courtesy of artist Stephen Walsh. They depict a variety of uniforms, all of them relative to the participants described in the narrative. One surprising aspect is the inclusion of a couple of paintings by Mark Postlewaite. Each is printed over a double page spread and as a result their visual appeal is highly compromised. Their inclusion also appears strained in a book that could have used the space to elaborate more on the text. 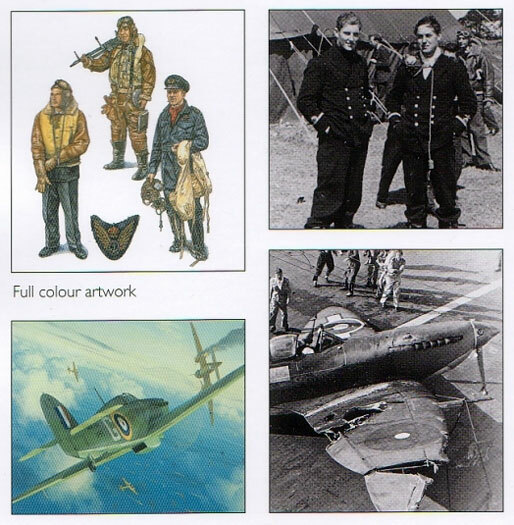 The story of the British Fleet Air Arm is an exciting one. A book of this size can only touch briefly on each event and as such many readers will be left wanting more. The author gives us a tasty morsel regarding the subject matter and as such can be considered a good introduction to an exciting facet of air warfare.